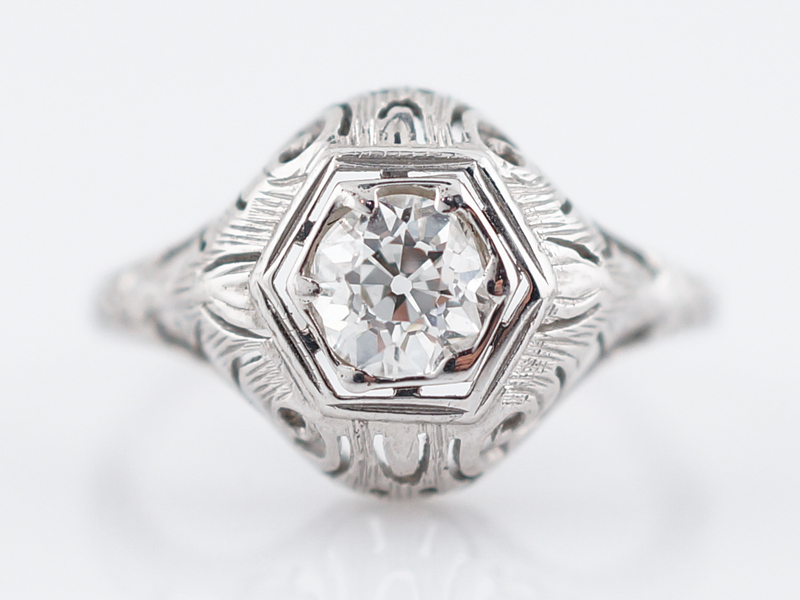 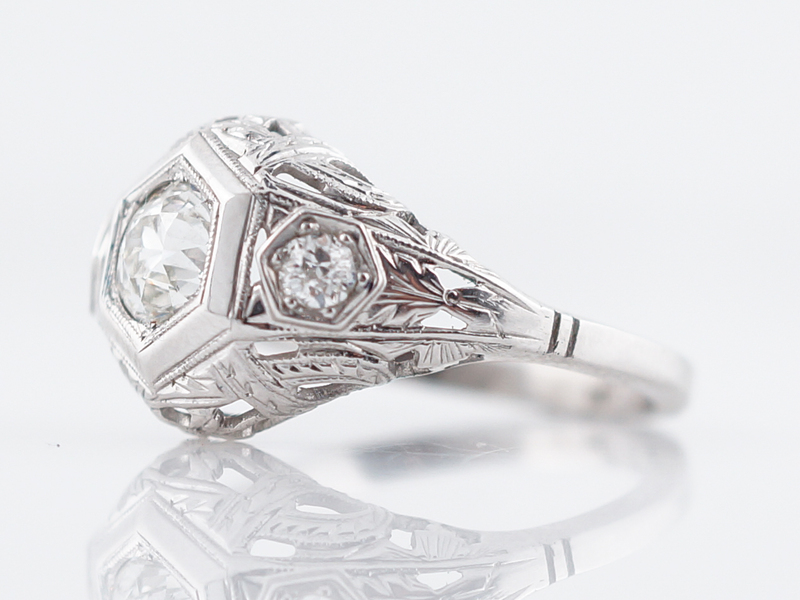 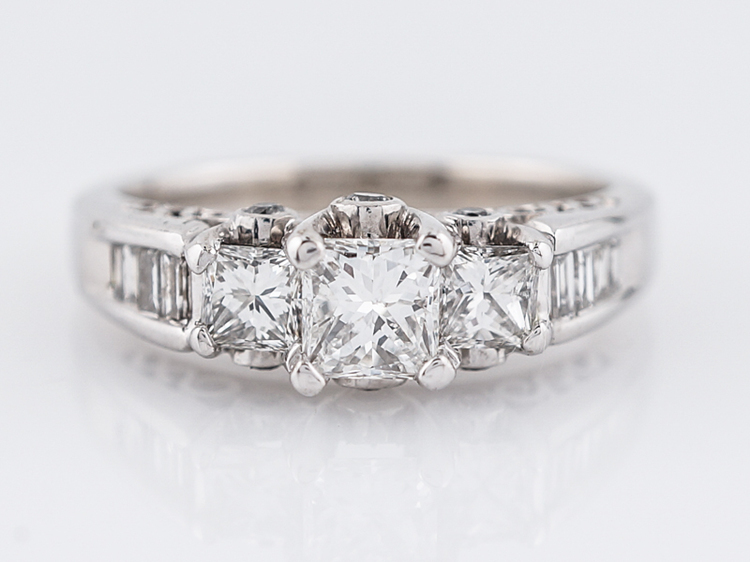 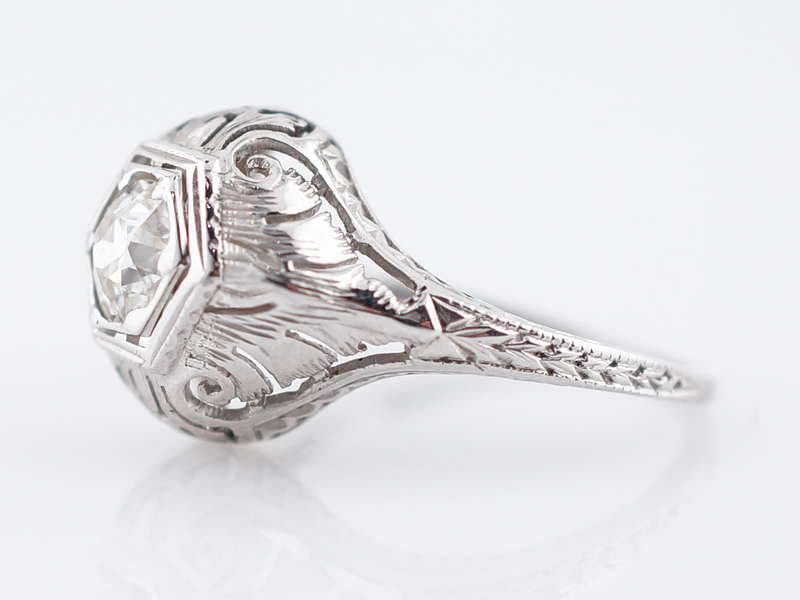 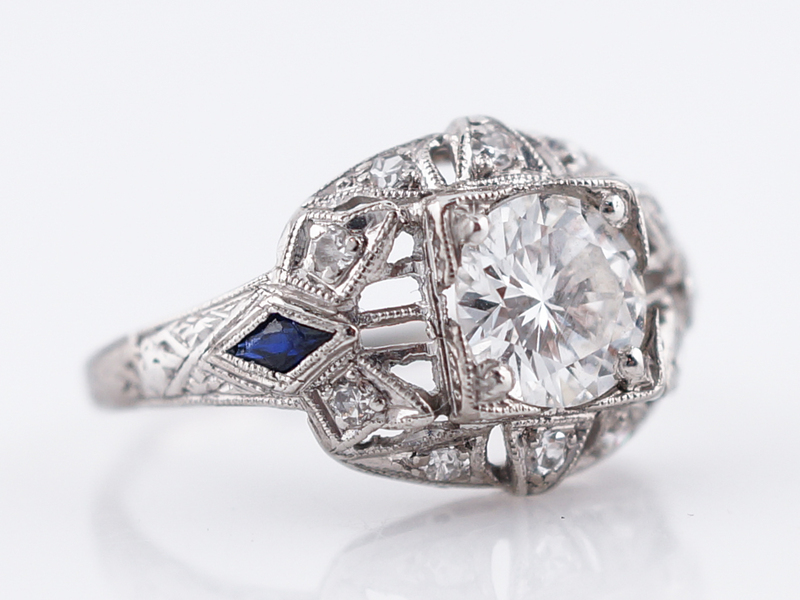 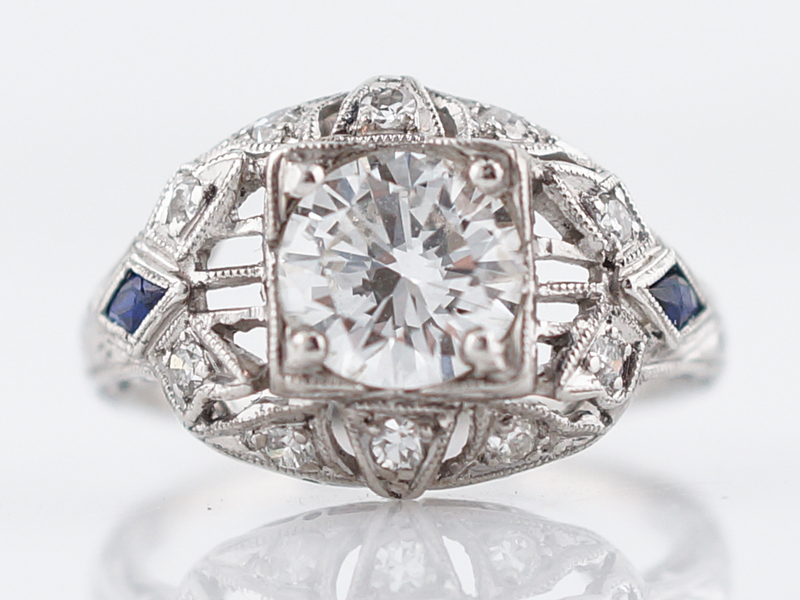 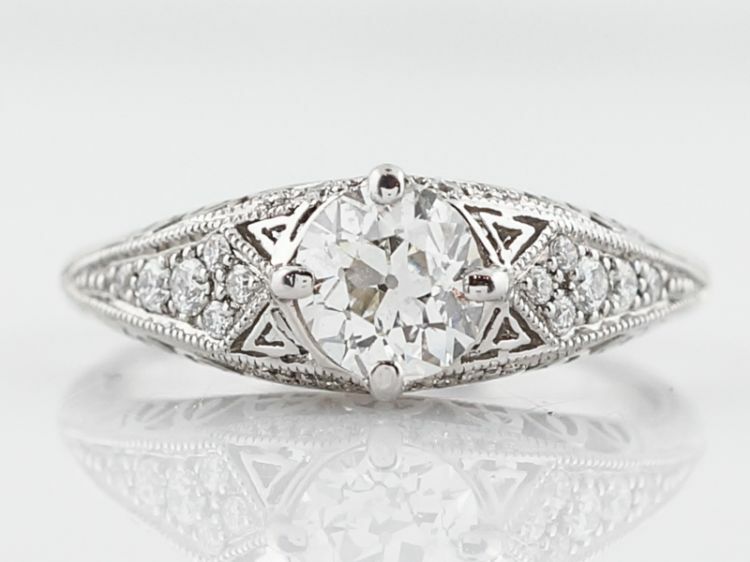 This timeless original Art Deco diamond and platinum engagement ring features a GIA certified 1.10 carat round brilliant cut diamond in the center. 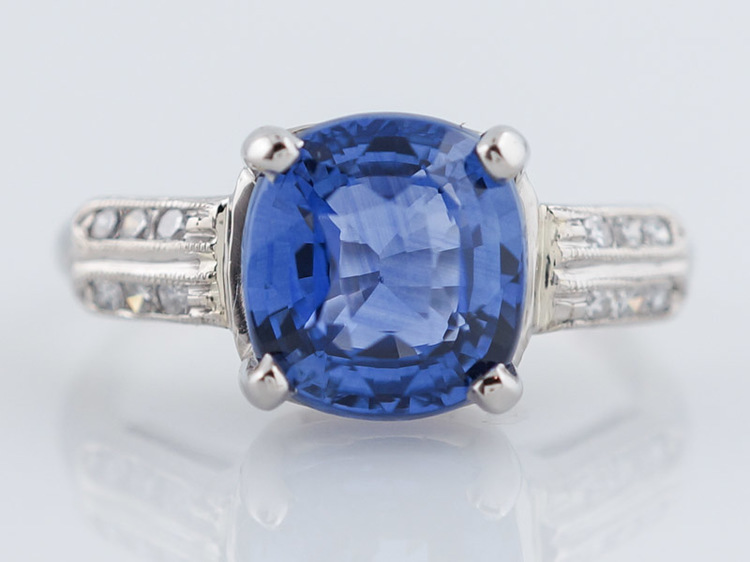 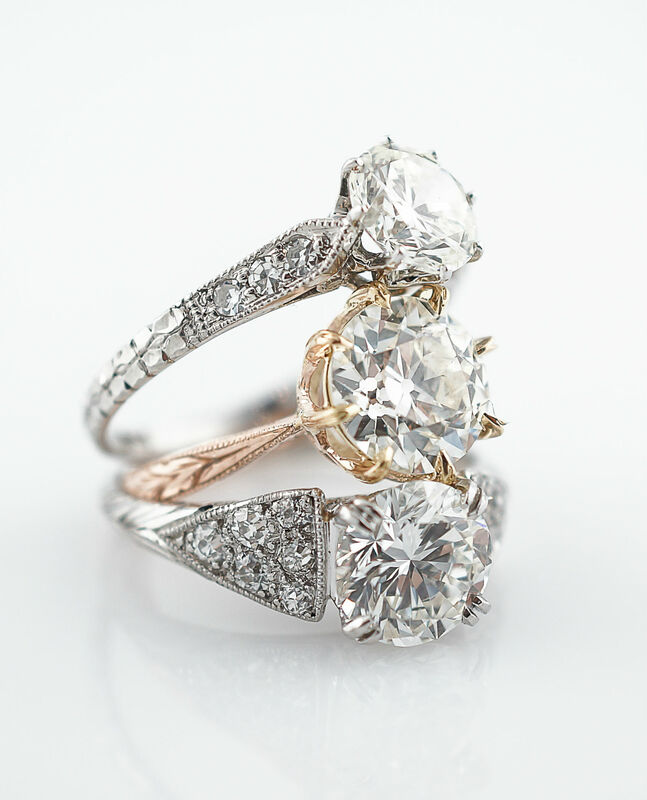 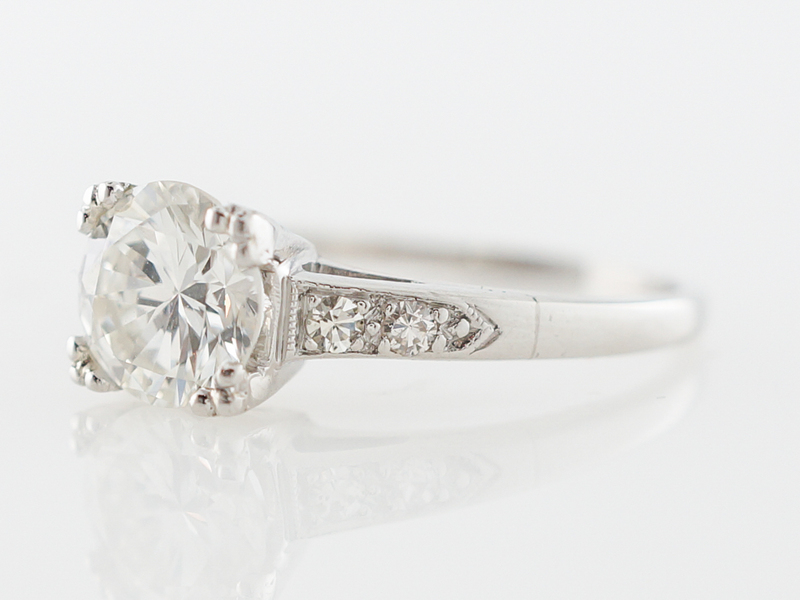 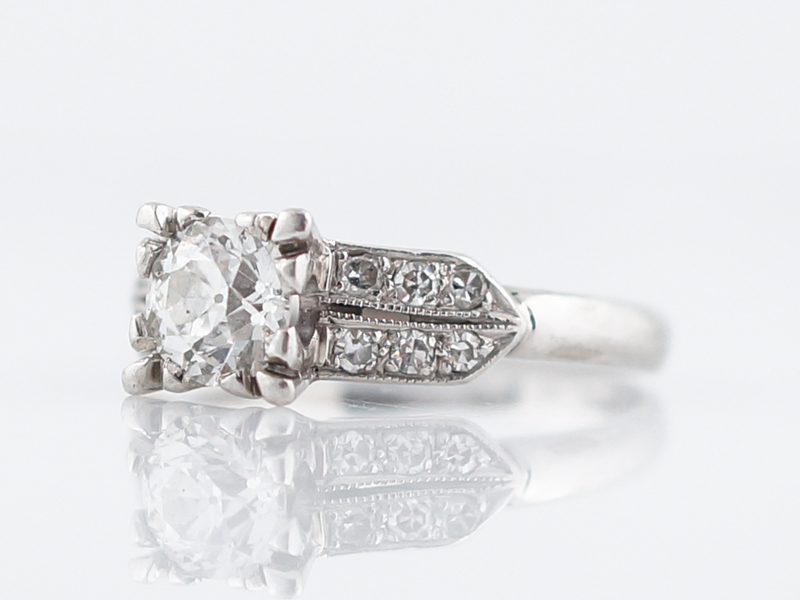 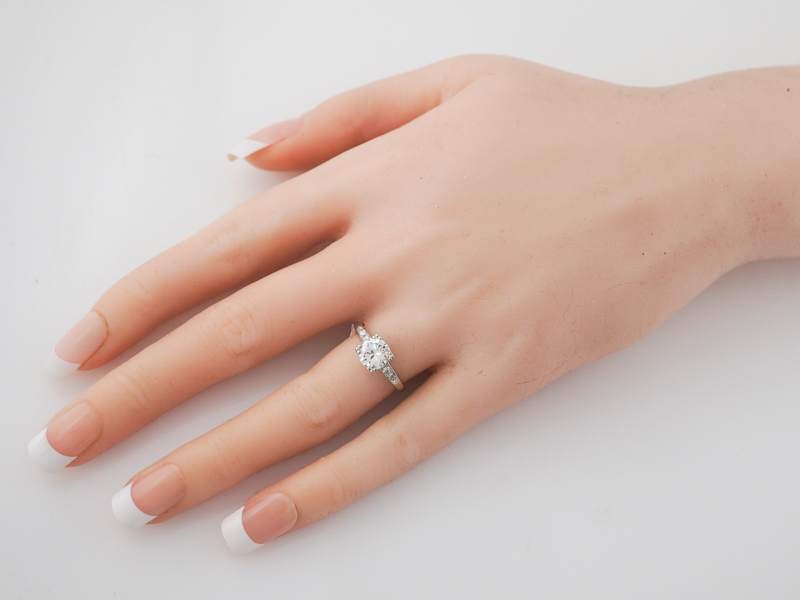 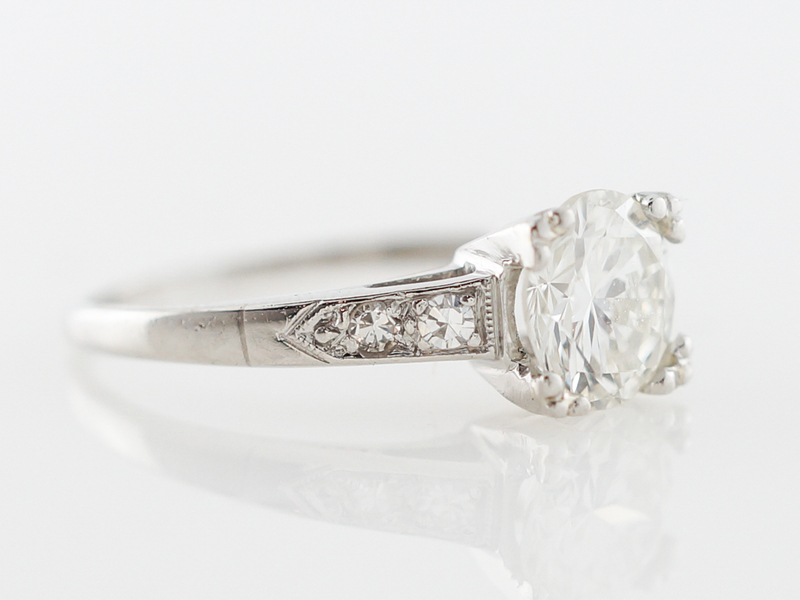 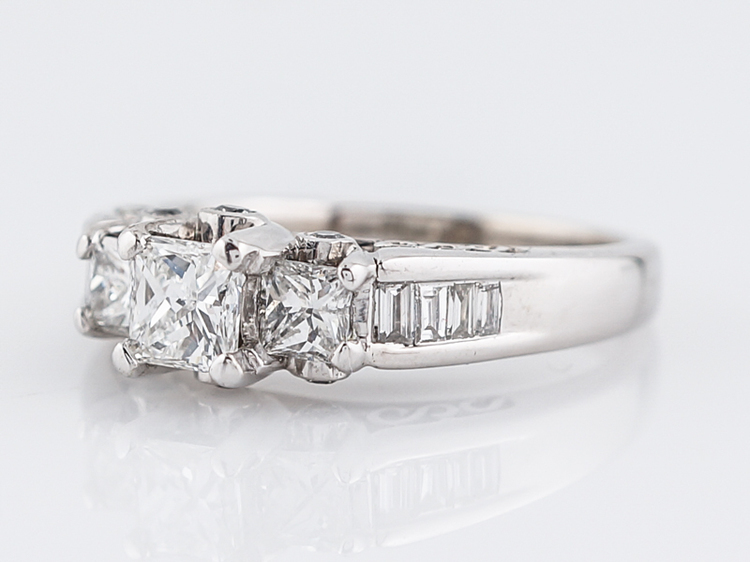 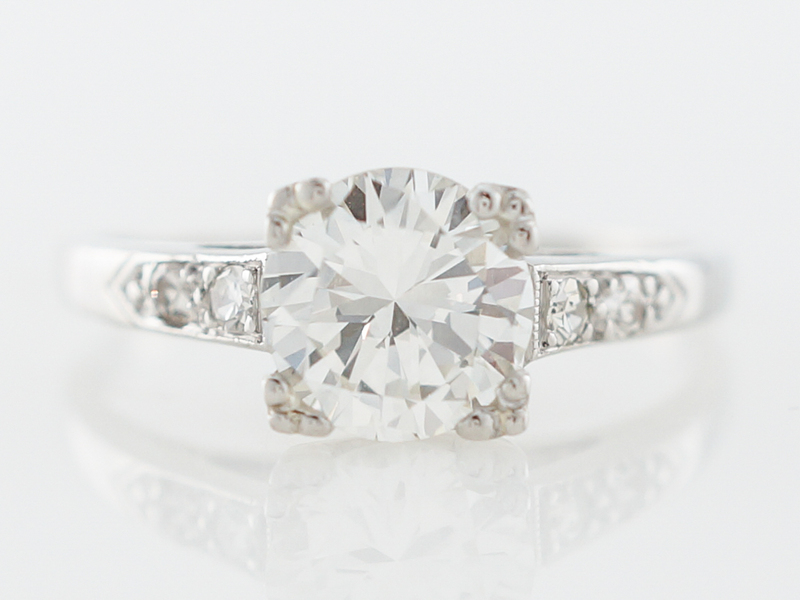 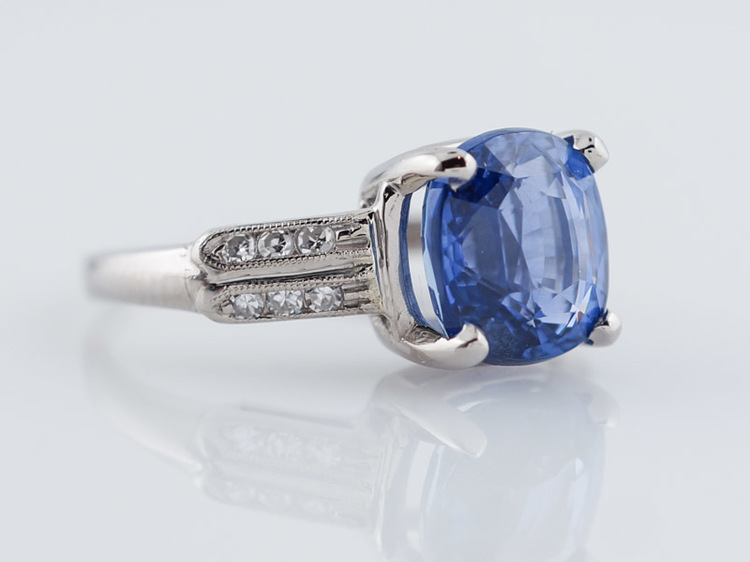 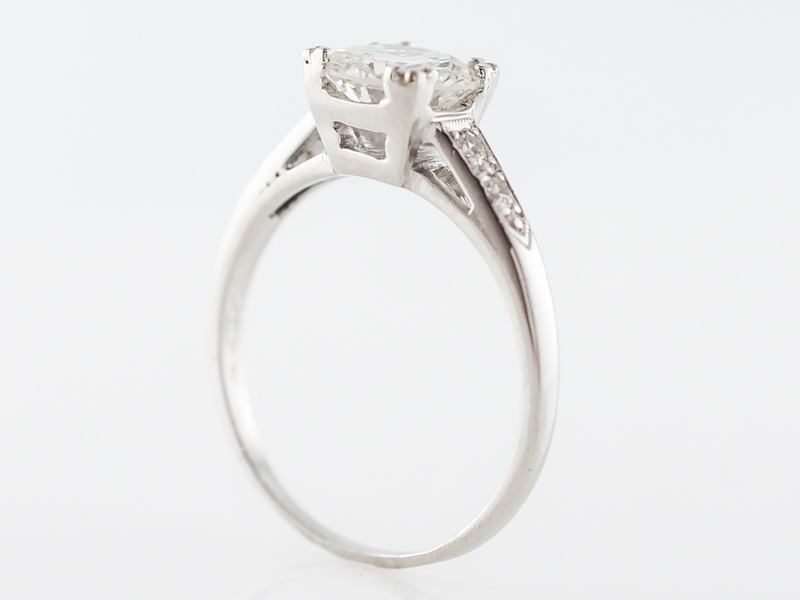 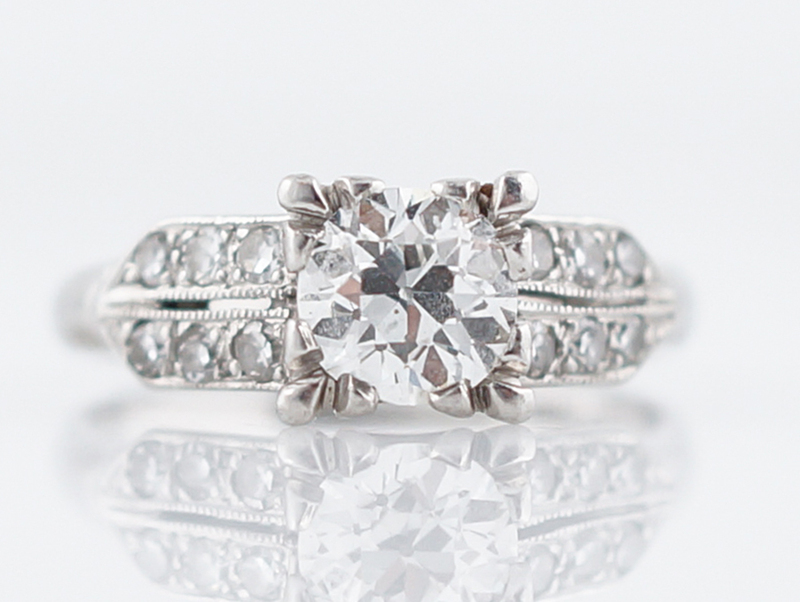 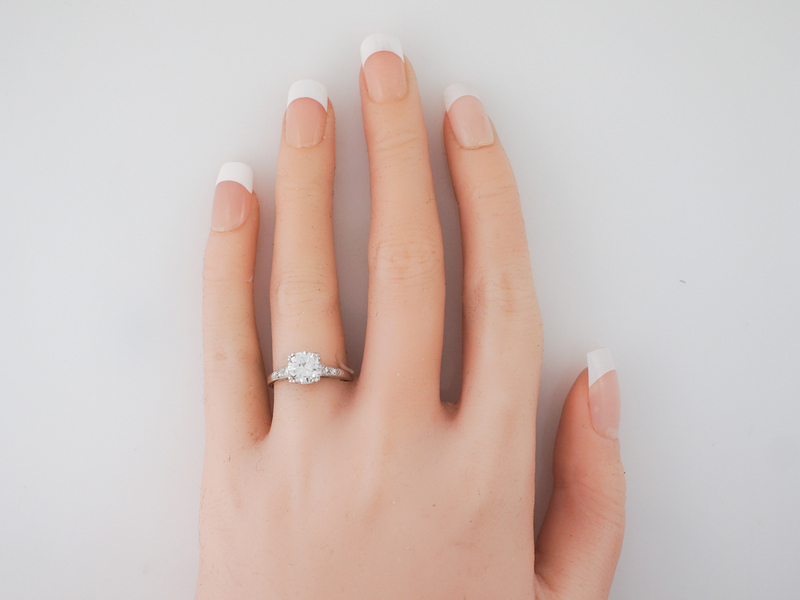 The center diamond is prong set with split bead prongs creating soft corners. 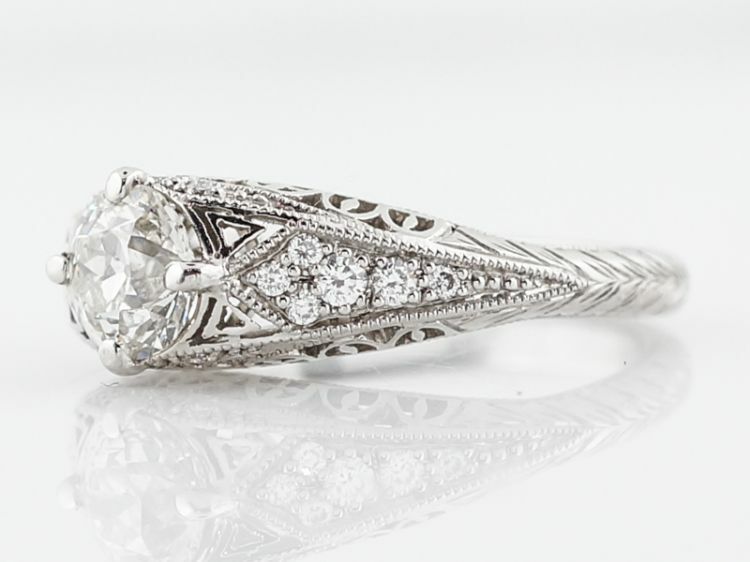 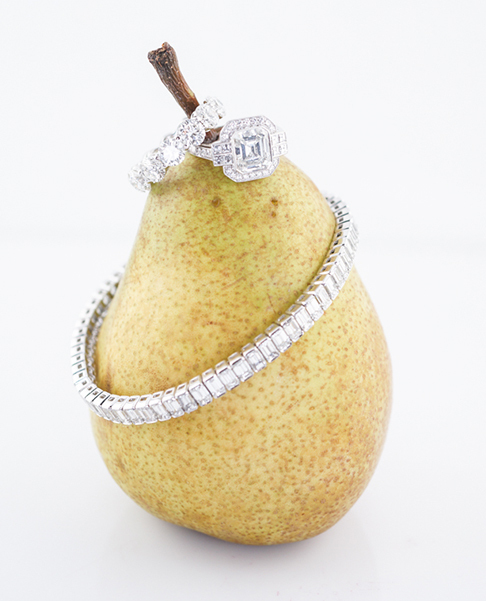 The center diamond is flanked by four (4) old European cut diamonds bead set into the platinum shoulder. 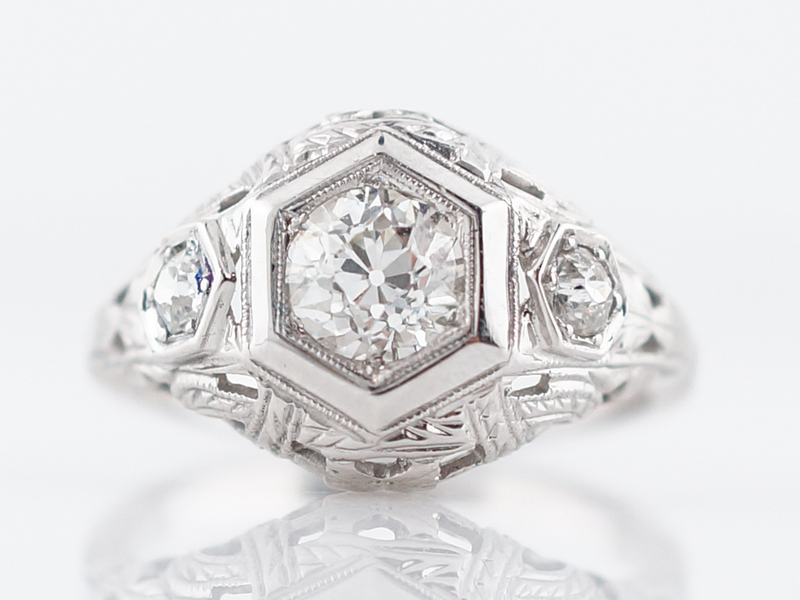 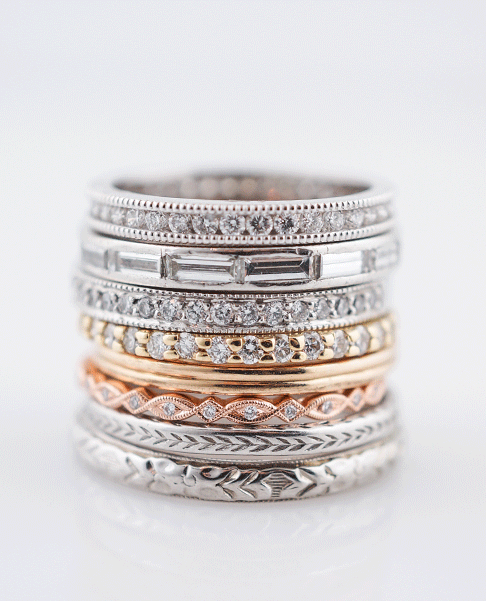 The side diamonds have a total weight of .09 carats.